If you had to pick the band most synonymous with London, Madness would be in with a strong shout. The Camden locals have a long-running love affair with the capital that shows no sign of fading, even as their years advance. Not that they don't have plenty of life left in them yet. At this free Roundhouse gig - part of the iTunes Festival - Suggs looks as dapper as ever. His grey suit remains uncreased and his two-tone dance moves stay smooth and suave, even as the temperature on-stage hots up. Emerging bang on 9pm, they don't hang around, launching into One Step Beyond and Embarrassment in front of a lukewarm crowd. The reception is cordial, if not ecstatic, even though the venue is peppered with souvenir Madness fezzes that fans have donned in the band's honour. The hour-and-a-half long set sees material from across the Madness back catalogue fill the cavernous old engine shed. With so many musicians on stage the sound is full and substantial, but always clear and never overwhelming. A few new tracks make an appearance too; the most arresting of these is Death of a Rude Boy, which provides a darker, more ominous counterpoint to the band's upbeat default setting. However, it's in the last third of the gig that things really warm up. That brass section - so central to the Madness sound - seems to find extra lung capacity, carrying the band through the classic singles that come one after another. This electric collection of gems is more than enough to bring the Roundhouse to the boil, and as the main part of the set ends with It Must Be Love, the sometimes-standoffish iTunes crowd has embraced Madness in a wholehearted singalong. Yep, these Camden favourites have still got it. 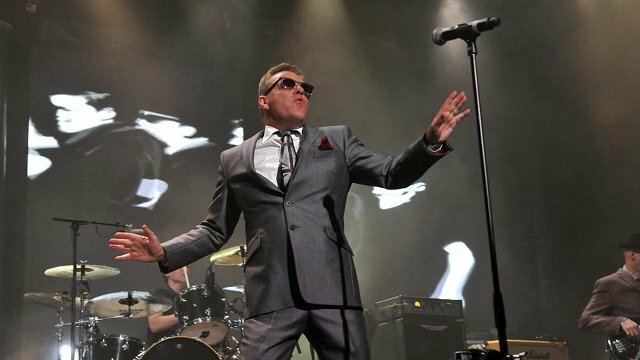 The iTunes Festival finishes tomorrow, but Madness play The O2 on 14 and 22 December. Tickets available now.